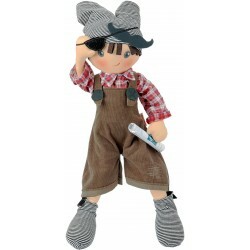 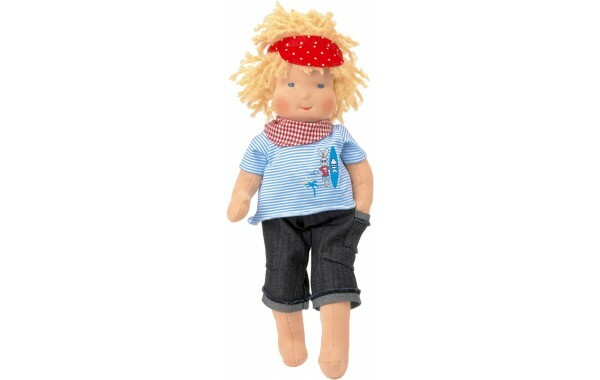 Max is a handmade 15 inch Waldorf boy doll wearing a blue striped beach theme shirt with blue jeans, a red checked neckerchief and matching visor. 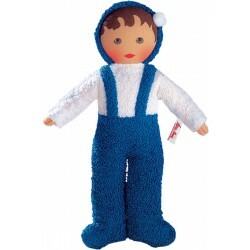 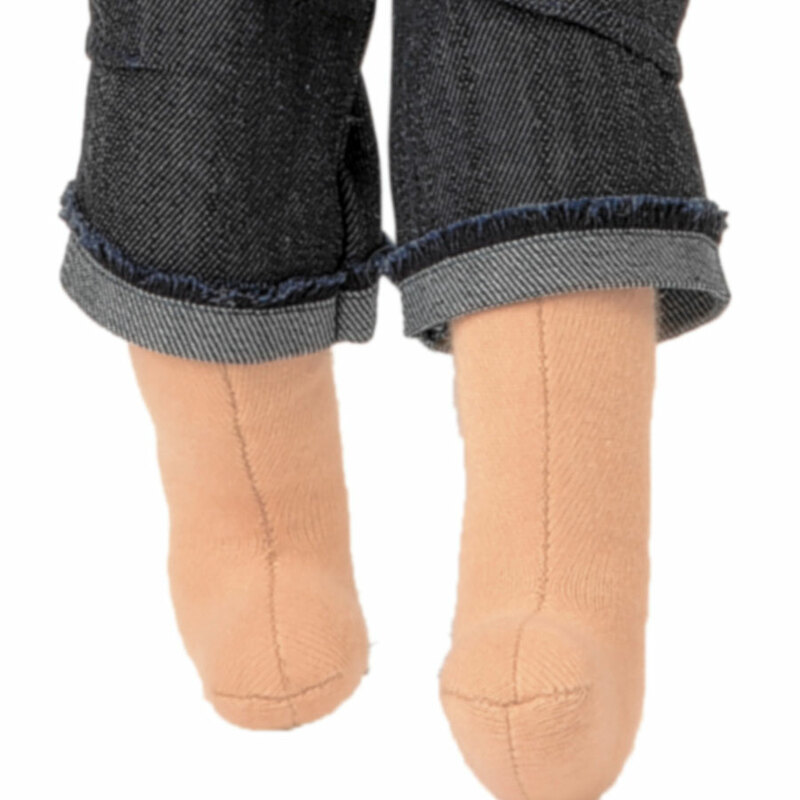 He is made from 100% natural materials, stuffed with sheep wool and has mohair hair. 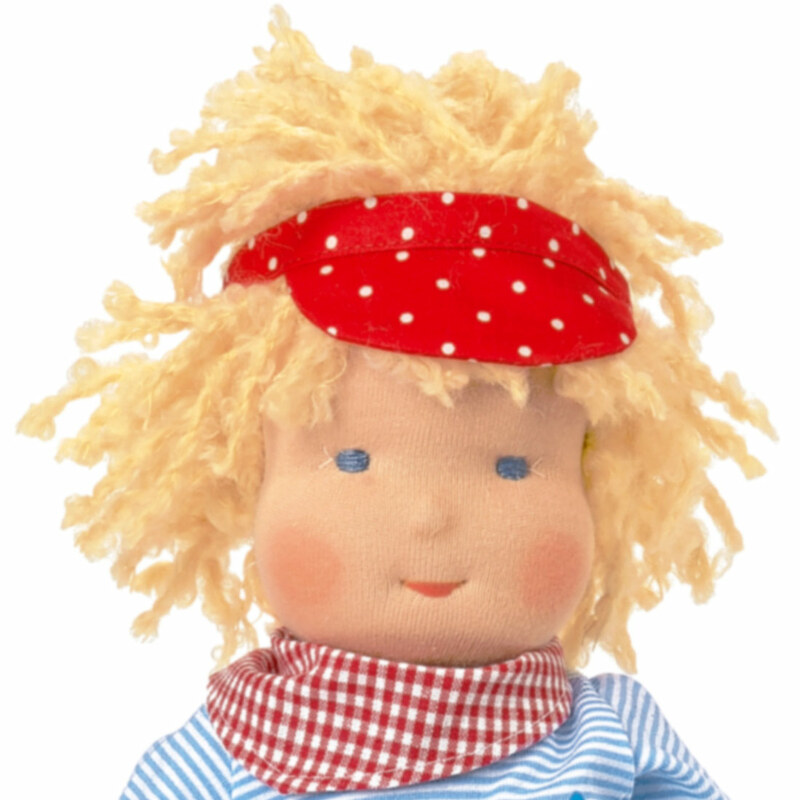 Max's face is charming and simple in the spirit of the Waldorf philosophy. 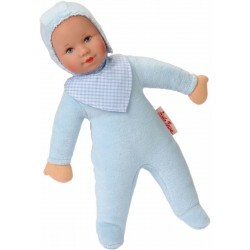 His clothing is child-friendly and can easily be taken off and put back on.